From the development of socio-analytic theory to establishing the link between personality and organizational effectiveness, Dr. Robert Hogan revolutionized the way performance measurement was looked at. He will be a key speaker at TechHR Singapore 2019. Robert Hogan needs no introduction. 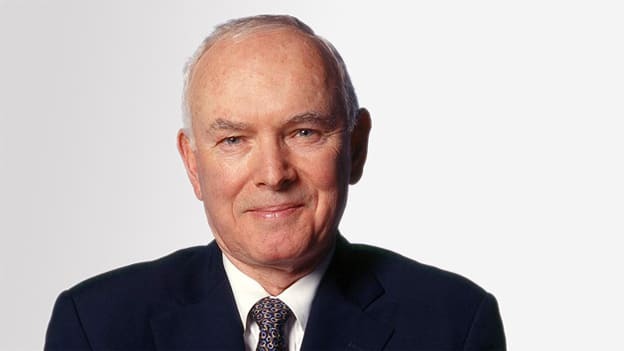 If there is one psychologist who has championed the cause of how personality is instrumental in performance and organizational effectiveness, it is Robert Hogan. No wonder he has been named as one of the greatest living psychologists by his peers. Dr. Hogan was the first psychologist to demonstrate the link between personality and organizational effectiveness. Today he is the leading authority on personality assessment, leadership, and organizational effectiveness and is widely credited with demonstrating how personality factors influence organizational effectiveness in a variety of areas, ranging from organizational climate and leadership to selection and effective team performance. He has more than 300 journals, articles, and books to his credit. Through his famous book Personality and the Fate of Organizations, Dr. Hogan offered a systematic account of the nature of personality, showing how to use personality to understand organizations and to understand, evaluate, select, deselect, and train people. Hogan Assessment Systems found by him in 1987 was the first startup to scientifically measure personality for business. Today, with products and services in 56 countries and 47 languages, it is a trusted industry partner for businesses worldwide. Dr. Hogan will be one of the key speakers at TechHR Singapore 2019. Here are some of his top contributions to the field of psychology. • And finally, some people are more effective at this than others. The theory is based on two generalizations relevant to organizational behavior-people always live (work) in groups and groups are always structured in terms of status hierarchies. These generalizations suggest the presence of two broad motive patterns that translate into behavior designed to get along with other members of the group and to get ahead or achieve status vis-à-vis other members of the group. Dr. Hogan is also widely credited with demonstrating how personality factors influence organizational effectiveness in a variety of areas, ranging from organizational climate and leadership to selection and effective team performance. He maintains that personality is best examined from the perspective of the observer (reputation) rather than the actor (a person’s identity). As a consequence, he asserts that personality tools should be evaluated in terms of how well reputations (defined by personality tests) predict behavior on the job and in relationships. Further, he avers that occupational performance, leadership effectiveness, and managerial incompetence can be predicted with valid personality measures. Feedback from valid personality assessment can create strategic self-awareness which allows ambitious people to maximize their career potential and minimize their issues. The Hogan Personality Inventory (HPI) was developed in the context of socio-analytic theory. Within this model, getting along with and getting ahead of others are seen as the dominant themes in social life. The HPI captures key behavioral tendencies relevant to these life themes and is based on the five-factor model of personality. Leadership theories commonly focus on individual characteristics like charisma, influence, and work ethic, but the key drivers of leadership performance are the leader’s decisions. Since leaders are responsible for the welfare of their organizations, the decisions they make – good or bad – are consequential. Positive organizational outcomes are the consequence of good leadership decisions; negative organizational outcomes are the product of poor decisions. The Hogan Judgment Model represents a new and comprehensive approach to assessing judgment and decision-making styles. The differentiating feature of this model is that it includes a critical component most models miss: how a leader reacts to feedback about his or her failed decisions. The underlying rationale is that to improve one’s judgment, one needs to learn from experience and receive negative feedback about one’s performance. By considering reactions to feedback across these scales, organizations can gauge the overall receptivity of their leaders to feedback and coaching and use this information to improve coaching interventions. Through these findings and his relentless research on personality, Dr. Hogan opened up the world of business to how important personality was in determining an employee’s effectiveness, enabling them to determine and the measure the right fit, in the real sense of the word. Come February 2019, Dr. Hogan will be one of the key speakers at TechHR Singapore 2019. Register here for the opportunity to interact with one of the world’s top psychologists!